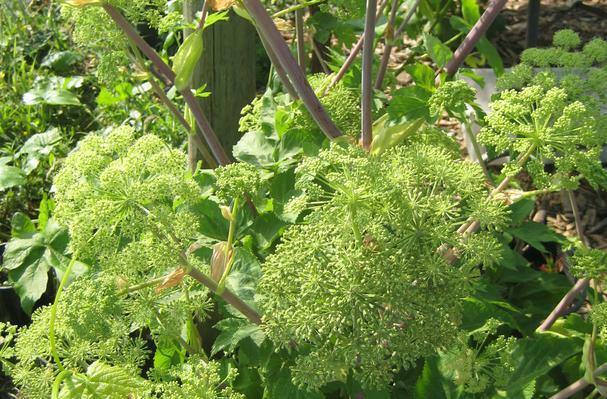 Angelica has bright green leaves, arranged in triangular groups on 2-foot stems. Angelica's flowers are round, budded clusters that are green in color. The stems and leaves are sweet. The stems can be boiled down and made into a syrup, used in ice cream as well as beverage flavoring. Steep angelica leaves in Riesling for an herbal pre-dinner drink.